← Taking Down Silicon Valley’s Electrical Grid with Rifles? In truth, one against whom you cannot defend yourself might be well considered your master, even your owner. If any country is to be regarded as free, the citizens thereof must have a universally acknowledged right to resist unlawful arrest, even (and especially) to the point of killing police who act unlawfully. Freedom and the right to self-defense won a great victory in Texas on Thursday, February 6. Burleson County prosecutor Julie Renken vindictively sought to cage marijuana farmer Henry Goedrich Magee for murder after the fatal shooting of Adam Sowders, who invaded Magee’s home in the middle of the night to steal his crops and his firearms. Because Sowders was a deputy sheriff, Renken sought to make an example of Magee for anyone who might dare resist the agents of the state. But in a stunning development, the long-moribund grand jury, originally intended as a check on state power but in recent years increasingly a rubber stamp, stirred and declined to indict Mr. Magee. The grand jury determined that not enough evidence existed to try him for murder. The right to defend one’s self is in many ways the most basic principle of liberty. Those who have been in the power of the state and who have known that they will be physically forced to comply, forced to the point of death, know well how precious the right of self-defense is. In truth, one against whom you cannot defend yourself might be well considered your master, even your owner. If any country is to be regarded as free, the citizens thereof must have a universally acknowledged right to resist unlawful arrest, even (and especially) to the point of killing police who act unlawfully. That grand jury struck a blow for liberty, but much remains to be done. Mr. Magee was only spared indictment because the grand jury found insufficient evidence to prove that Sowders had adequately identified himself as a police officer before Magee gunned him down. Had Sowders clearly identified himself as the armed agent of the state, intent on abducting Mr. Magee and his girlfriend and stealing their crops and firearms, Magee would even now face a lifetime in prison or possibly even execution for defending himself against an armed, violent intruder. But Magee struck another blow for liberty the moment he pulled that trigger. 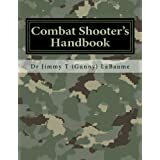 As a veteran of the Iraq War and of the nocturnal home invasions that characterized that war, I can say from personal experience that the knowledge that the inhabitants of a home might shoot back weighs heavily on the minds of criminals, uniformed or otherwise, as they prepare to break in. Indeed, the casualties we suffered played a huge, perhaps dominant part in the switch from “cordon and search,” or classical home invasions, to “cordon and knock” as the preferred tactic for locating the enemy. Furthermore those casualties, as dearly as I may miss the ones I knew personally, were the reason we ultimately left Iraq. Whether or not to resist state violence is a deeply personal decision we all must face any time we confront an agent of the state, whether it is the tax collector, a traffic stop or a SWAT team coming through our doors at midnight. But even the simple act of making it a decision, of actively deciding whether it is in your best interests and in the best interests of all our brothers and sisters to resist or to passively submit, is a liberatory act, a moment of freedom. For too long we have obeyed our conditioning and rolled over for the state. Magee’s case is a positive step, but his decision to resist, to shoot at anyone invading his home, regardless of who signs their paycheck, is what makes him a hero. The Betrayed: On Warriors, Cowboys and Other Misfits. Click here to buy the paperback version from Land & Livestock International’s Rancher Supply aStore. 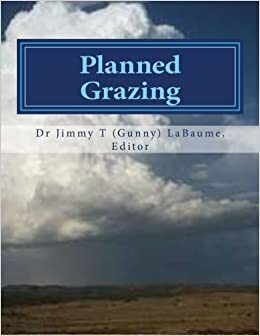 Planned Grazing: A Study Guide and Reference Manual by Jimmy T (Gunny) LaBaume. This guide is a detailed book review of sorts, but perhaps it would be more accurately described as an abstract that condenses 864 pages of detail into 189 pages of concentrated information. 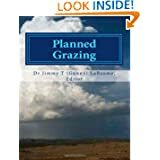 No more excuses for failing to properly plan your grazing. The booklet is available from Amazon.com in both soft cover and Kendall versions. Click here. 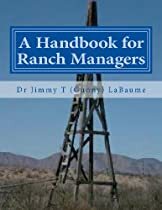 A Handbook for Ranch Managers A Comprehensive Reference Manual for Managing the Working Ranch. Click here to buy the paperback version from Land & Livestock International’s Rancher Supply aStore. This entry was posted in Police State, Resistance, Right to resist unlawful arrest and tagged Police state, resistance, Right to resist unlawful arrest. Bookmark the permalink.